I'm a World Record Holder! 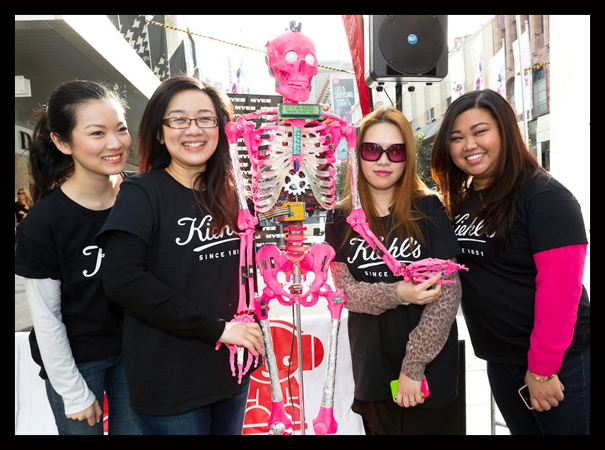 So at the end of October, I went over to Myer on Bourke Street to support Val from Ponikuta's little collaboration with Kiehl's to attempt a world record. They had Dancing With the Stars personalities Carmelo and Jess leading the dance, and we were to attempt to break the world record of most people doing the Robo dance. I have a little video of the highlights from the dance, if you'd like to watch it. I don't know, I think it's pretty cool to hold a World Record. I ran home to tell my family and J all about it, and I think I must've been a little overexcited, judging from the bemused looks on their faces. Ah, well. Head over to the Kiehl's Facebook page if you want to see some pictures from the day.